We will be CLOSED through Monday, September 3rd to update our inventory. Check back on Tuesday, September 4th for a collection of new arrivals. Closure Week — Showroom Rejuvenation! We will be closed Monday, February 6th through Monday, February 13th to update our showroom floor. We’ll be working hard to add new arrivals of outstanding furniture, home decor and art to the shop. Join us Tuesday, February 14th to be the first to see all of our new arrivals! Thank you for your patience, and we’ll see you in a week! to transition our store into the Fall Season! to see fantastic collection of new arrivals in our showroom! 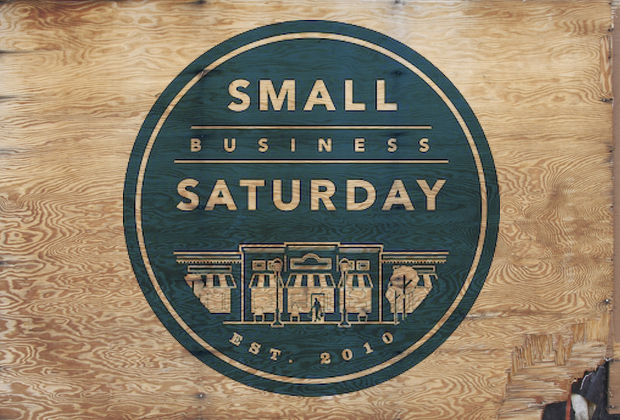 Happy Thanksgiving — Join us for Small Business Saturday! Shop local this weeked during Small Business Saturday. We’ll be open our normal business hours 10AM-6PM!! 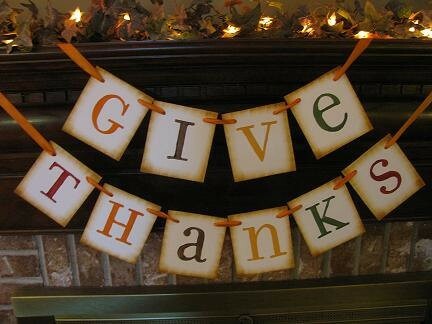 We will be closed Thursday, November 27 and Friday, November 28th. We are so thankful for another year of support from you all. A few new goodies to tempt you over the weekend! Browse below, then stop by Monday-Saturday, 10AM-6PM at 2237 NW Raleigh St, give us a call at 503.222.6122 or email us at home@seamstofit.com with any questions. Upholstered in a versatile taupe chenille, we have received a pair of Dania ‘Venten’ sofas, one measuring 87″ long (SOLD) and the other is 57″long (SOLD). Featuring gently sloped arms, dark wood post legs, these beauties are in exquisite condition. And they won’t last long at $795 and $650 respectively! Hanging above the sofa is a fantastic signed stainless steel metal art sculpture, priced at $300–SOLD. Three beechwood and chrome ‘Lyra’ barstools from Magis are here: one of their best-selling items of all time! Sleek and modern, they feature gently arched frames, a curved footrest and molded, blonde beechwood seats. They are the medium height, measuring 26″ high at the seat. We have them priced at $195 each–SOLD. Providing a centerpiece for three of the stools is a glass and metal ‘Four-Score’ Pub Table from Johnston Casuals. Measuring 38″ square by 42″ high, we have it priced at $650–SOLD. Continuing the metal theme, we have received this beautifully rustic, stainless steel and acacia wood kitchen island from West Elm. With a single lower shelf for extra storage or display, we have it priced at $300–SOLD. Measures 48″W x 32″D x 38″H. Decorating the scene are a number of exotic decorative pieces including two handpainted wooden tribal spirit masks from New Guinea ($95 each), an intricately-carved wood box from Argentina ($100–SOLD) and a Hawaiian Mika McCann fiber sculpture ($150–SOLD). Fall has arrived, bringing to mind more family gatherings and full houses. This week offers a selection of storage possibilities. Browse below, then stop by Monday-Saturday, 10AM-6PM at 2237 NW Raleigh St, give us a call at 503.222.6122 or email us at home@seamstofit.com with any questions. Custom-made art deco bar, perfect for entertaining in a Pearl Condo features a hanging glassware rack, cabinet with interior drawer shelf, fabulous drawer pulls and a black granite table-top. Measures 45.5″W x 23″D x 61.5″H. Priced at $2000–SOLD. With a reclaimed wood top surface, this industrial trolley is a great kitchen island or bar cart, crafted from a steel frame, with removable iron drawers and cast iron wheels. Measures 61″W x 18″D x 36″H, it originally retailed for $2100, and we have it priced at $995–SOLD. Set up beside the trolley is one of three woven leather saddle counter stools, custom-made and priced at $225 each. And bringing warmth to the scene with a beautiful rust color is this handknotted wool, Gabbeh rug in a versatile checker pattern. Measures 8′ x 10′, priced at $2500–SOLD. Spices, utensils, linens, medicine; the storage possibilities for this antique Japanese chest are endless. Circa 1890, the Kazaridana-Dansu shop chest is made entirely of sugi (Japanese cedar) with hand-forged iron drawer pulls. Measures 35.5″W x 15.5″D x 67.5″H. Priced at $950–SOLD. A contemporary dining option: we have this glass-topped dining table from West Elm which measures 80″ x 40″. A simple, angular chrome frame allows for ample seating room. Priced at $495. Surrounding the table is a set of six custom dining side chairs, done in Lombardia cream textured upholstery with tangerine welt trim and dark wood legs. Priced at $1350 for the set–SOLD. A true vintage rarity! We have this elegant Knoll ‘Lunario’ table, made from clear tempered glass with polished steel insert cap. The table includes two sheet steel bases that have inner weights which counterbalance the offset top, allowing for a cocktail height (11″H) or a dining height (27.5″H). Measures 59″ in diameter and is priced at $1600. Come join the Seams To Fit family and our local non-profit partners in celebrating our 15th Anniversary! Also learn more about our eBay store, charity eBay store and vintage clothing consignment. And an opportunity to shop both Seams To Fit Fashions and Home Furnishings after hours! 25% of all sales will be split among our non-profit partners. at the Seams To Fit Fashions entrance: 2239 NW Raleigh St.
Come join us at our fabulous new location at 2237 NW Raleigh St! Located conveniently next door to our sister store, Seams to Fit’s new digs. This weekend only: receive $10 off every $100 you spend in our store! Our way of saying thank you to our wonderful customers.